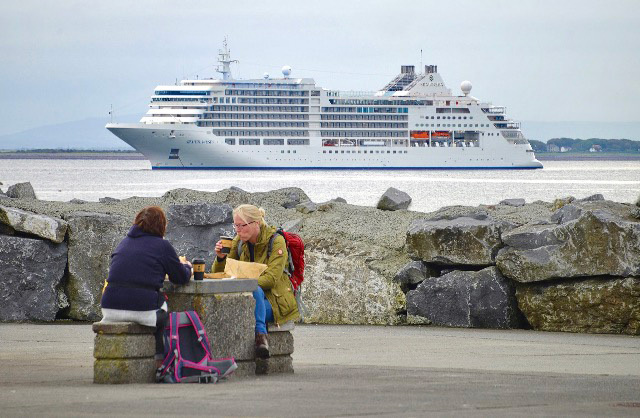 On Saturday, we saw the last cruise ship of the season at anchor in Galway Bay. The ship SILVER MUSE dropped the ‘hook’ at 08:30hrs south of Mutton Island and commenced tendering operations shortly afterwards. The SILVER MUSE is the largest ship built for Silverseas and at over 40,700 tonnes she was the second largest cruise ship to call to Galway in 2017. The ship was launched in Spring of 2017 and is what is described as an “ultra-luxury cruise ship”, bringing the total of ships operated by SilverSeas to nine. 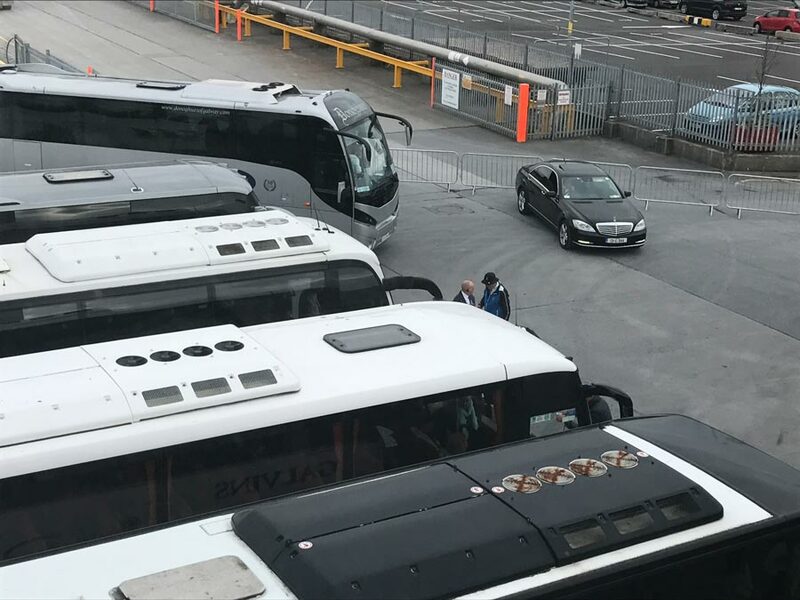 She carried 596 passengers and 411 crew and had arrived from Cobh, Co. Cork and sailed Saturday evening for St. John’s, Newfoundland.